Physical properties of materials are often highly dependent on the underlying microstructure, and affected by presence of defects and/or heterogeneities at the atomistic length scale. On the other hand, predictive capabilities for engineering applications require simulations at significantly larger scales. An important application for magnetic materials is data storage, and by better simulation techniques the development of new materials is enhanced. In this project we combine an atomistic scale model, where spin magnetic moments of individual atoms are considered, with the partial differential equations describing the evolution of the coarse-grained volume-averaged magnetization. 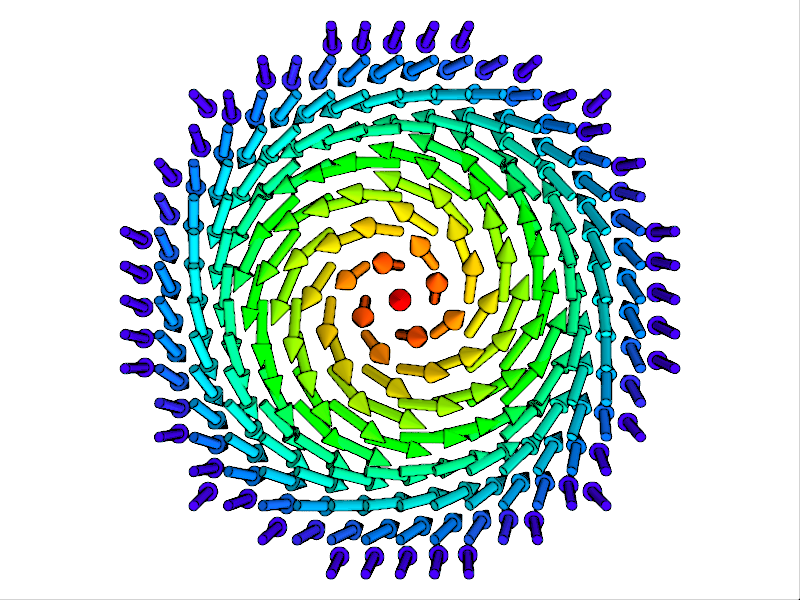 The goal is a seamless multi-scale model, which is computational efficiency and at the same time accurately captures the influence of small-scale phenomena on macroscopic quantities. The project is a collaboration between the divisions of Scientific Computing and Materials Theory, at the departments of Information Technology and Physics, respectively. The collaboration between scientists with expertize in physics and in scientific computing has turned out to be very fruitful and the group is expanding, and will continue beyond the two year postdoc project.